I’ve been trying to keep my social media updated so everyone knows I’m not dead, but I haven’t had much time for it to be honest. This is probably not a big surprise. 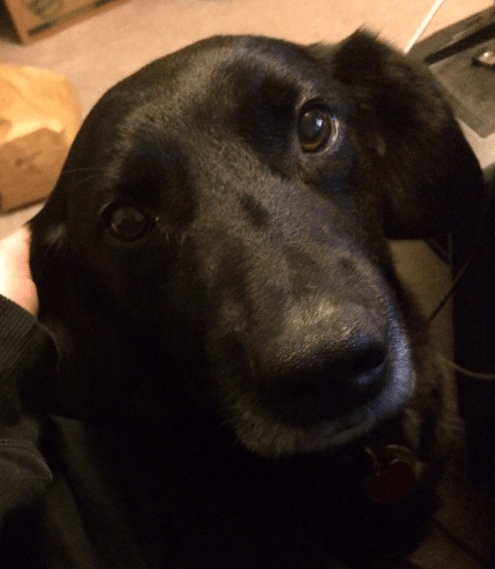 Nash and I both did the best we could to plan things out, and I had a lot of help and support from family and friends…but moving is still a big, complicated, tiring mission chain. Combine that with the thoughts and feelings involved when moving away from my offline friends and family and it’s been quite a week. I don’t mean the million and one thoughts almost constantly running through my brain that pertain to logistics – though there is that, too. I’m coming up on the Final Week and ye gods, those thoughts are running through my head all the damn time. The most recent version of my To-Do list is in front of me on my desk right now. What I meant, though, is in relation to the liminal space of…well, my entire life. 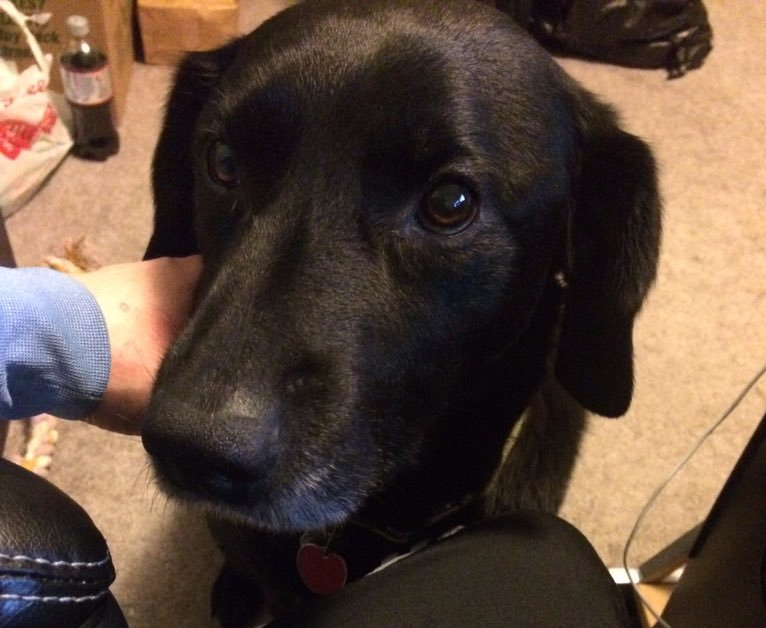 He’s so helpful when I’m trying to write. Shirt reads: “When You Solo, Nobody Can Hear You Scream.” Also caught my Siberian Husky mid…erm…no longer being a doggo, as such. 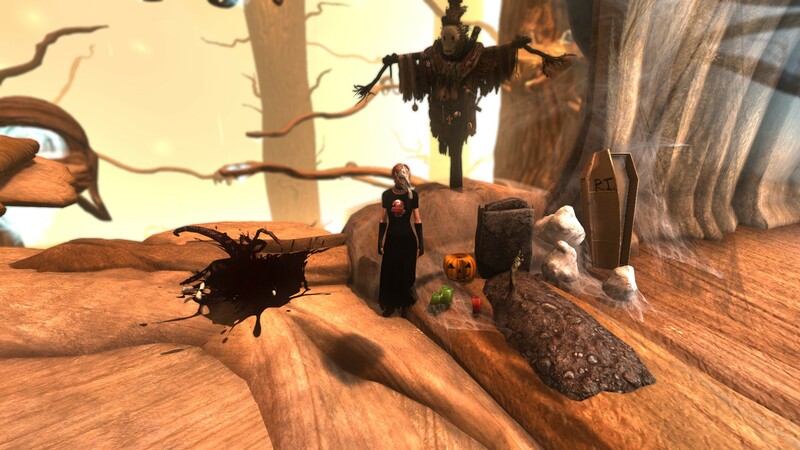 I’m hanging out in Secret World Legends, waiting for Jack of the Lantern to pop again, and it occurs to me I’ve really REALLY wanted to blog about my impending move. I put it off because I’ve already neglected this blog for too long, and my move isn’t exactly gaming news. 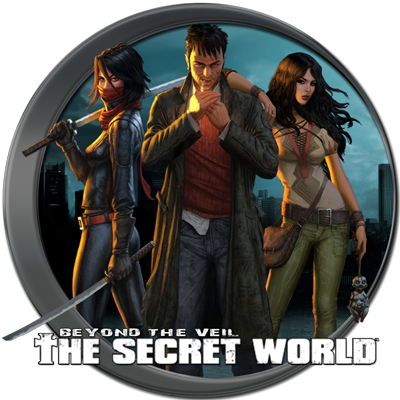 If I’m going to post again it probably ought to be about how I’m still loving the relaunch of The Secret World as Secret World Legends (despite legitimately missing AEGIS). Or about the SWL Halloween event I’m participating in as much as I can. Or about my experiences finally getting into Star Trek Online (very much enjoying it!). Or about how Cuphead looks so lovely, but I’m not in a place to play it right now and that’s a shame. 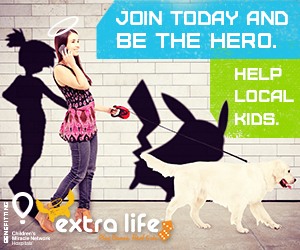 Or I could even try to figure out what in the world I’m doing about Extra Life this year and maybe let everyone else know. But hey, sometimes you go with what you really want to write about. Prepare for rambling, I have Many Thoughts just now.